Are you ready to dive into the hidden depths of the ocean without getting wet? 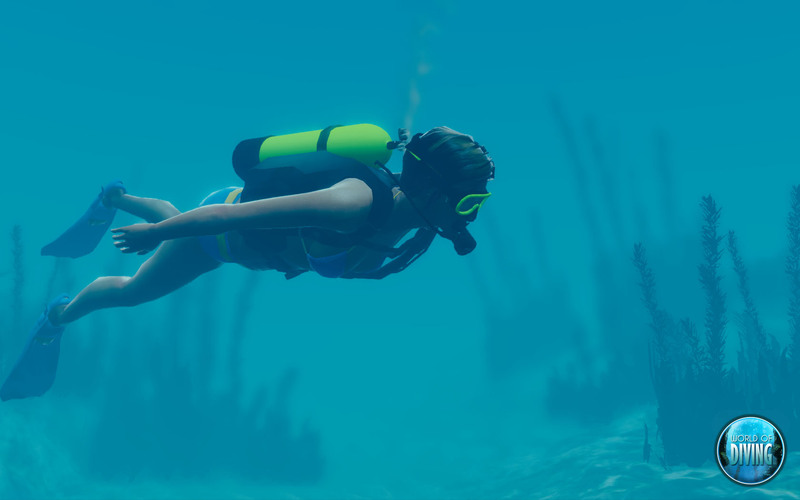 Vertigo Games is set to take you on the otherworldly adventure that is World of Diving, the online multiplayer dive game for PC, Mac and Linux that supports (but does not require) the Oculus Rift virtual reality headset. Vertigo Games is raising a total funding amount of $75,000 for the development of World of Diving. Contributions of any size are welcome – even sharing alone helps – but you can have the full funder experience from pledges of $20 and up, which include access to the early beta, backer-exclusive forums, and the community development platform on top of a DRM-free digital copy of the game for all platforms when it launches early 2014. Stretch goals for other platforms have been mentioned, and will be revealed as the campaign progresses. A great deal has already been invested in creating the prototype of World of Diving. The team is now turning to the crowd, in the hopes that they will be able to continue their dream project and develop World of Diving into a huge, populated digital world. An interesting side effect of crowdfunding is that it allows for a dynamic, creative and transparent development process. Vertigo Games is planning to put this to full use, as they will be keeping an open dialogue with the community to actively incorporate feedback and ideas for gameplay, features, in-game items, and more throughout the development. The first PSVR co-op available now! Will take you down a few pegs!